The Mastermind: Drugs. Empire. Murder. Betrayal. – the extraordinary story of Paul Le Roux – one of the world’s most prolific criminals – and the US government’s clandestine efforts to bring him down. 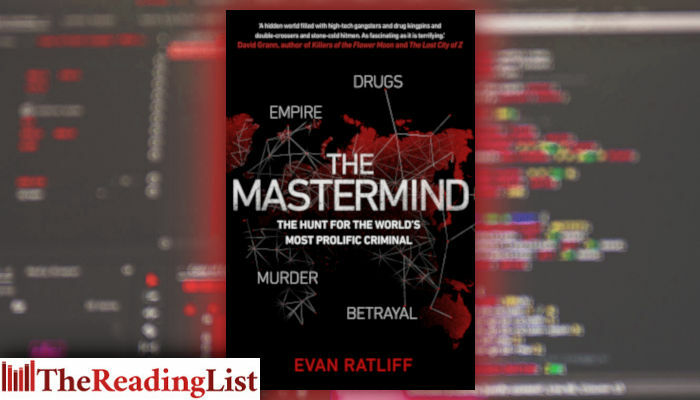 The Mastermind tells the true story of Paul Le Roux, the frighteningly powerful creator of a 21st Century cartel, and the decade-long global manhunt that finally brought his empire to its knees. Evan Ratliff is an award-winning journalist and the co-founder and former editor-in-chief of The Atavist Magazine. As a longtime contributor to Wired, The New Yorker, National Geographic, Outside, and other magazines, he has reported from around the globe on transnational crime, science and technology, the environment, terrorism, and corruption. He is a two-time finalist for the National Magazine Awards, and his writing has been selected for numerous Best American collections. His 2009 Wired story ‘Vanish’, about his attempt to disappear and the public’s effort to find him, was selected by the magazine as one of the twenty best stories in its history. He also cohosts the acclaimed Longform podcast and was a founding editor of Pop-Up Magazine, a live journalism event that tours the United States. He is the co-author of Safe: The Race to Protect Ourselves in a Newly Dangerous World, about innovation and counterterrorism, and the editor of the collection Love and Ruin: Tales of Obsession, Danger and Heartbreak.